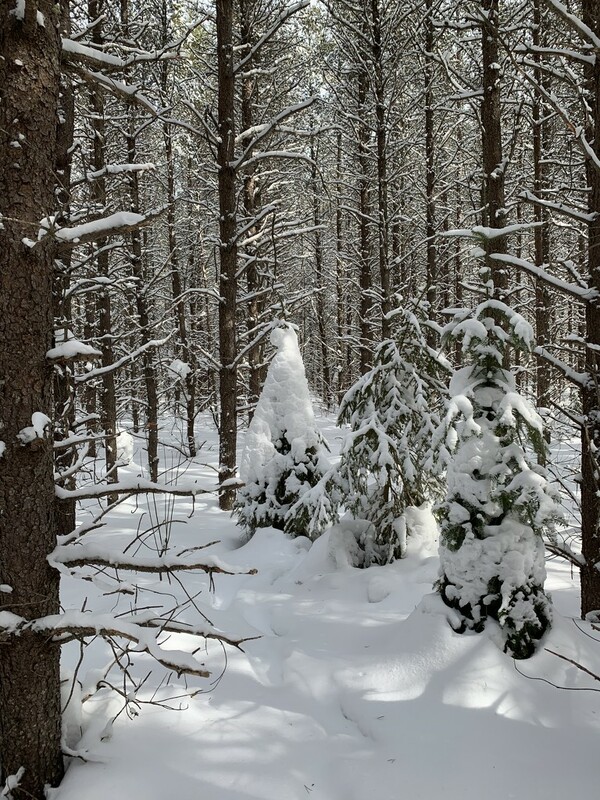 This was taken while out snowshoeing In the bush, wherever you looked there was beauty to be found! Love seeing all the snow in your shots. This shot will cool me down - sun is shining at the beach and its 25degC! A wonderful shot, I see faces in those two little snow covered trees.